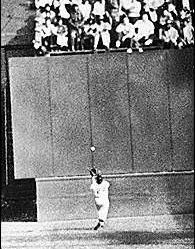 It is generally accepted that “The Catch” – Willie Mays’ over-the-shoulder grab in Game 1 of the 1954 World Series is the greatest defensive play in baseball in ever. There are some though that would disagree – and one of those dissenters is a well-respected baseball man and frankly, living legend: Vin Scully. 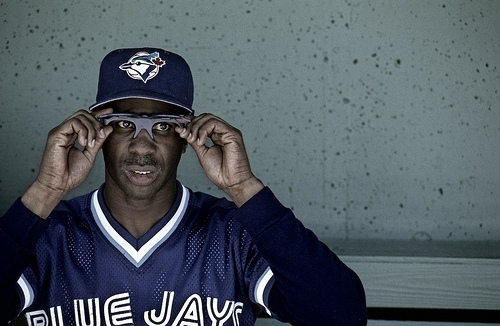 It was game 3 of the 1992 World Series between the Toronto Blue Jays and Atlanta Braves. David Justice takes a Juan Guzman fastball and drives it deep to CF. Devon “Devo” White was there and glided over to the ball like a gazelle before splattering himself against the wall, robbing Justice of a 2-run double at the very least. White still has the wherewithal to spin and fire the ball back to the infield, almost completing a triple play. “I saw Mays’ catch,” Scully said. “And this one, to me, was better. 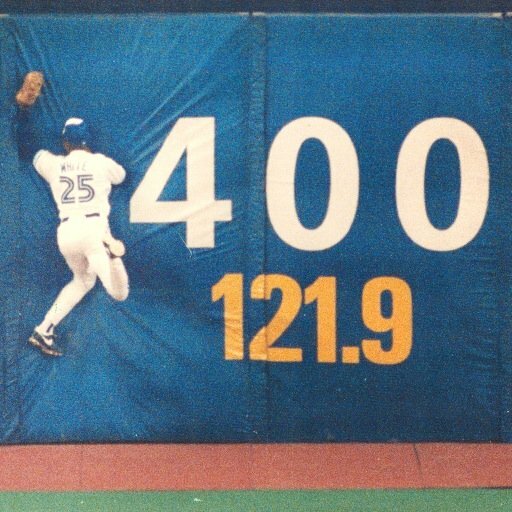 Though it doesn’t really make much difference which catch was “better,” it is safe to say that this is the most celebrated defensive play in Blue Jays history. Watch the videos below and enjoy the defensive stylings of the one and only Devo. Not only has this play never received the praise it deserves but the failed call on the triple play never generated the kind of controversy it should have. Shouldn’t getting robbed of a World Series triple play generate the same kind of controversy as being robbed of a perfect game? It’s difficult to say which catch is better – hard to measure things on a level playing field. Devo made that catch look effortless and he had the outfield wall to contend with. Then he had the presence of mind to fire it back to the infield to start turning the double (triple) play. Perhaps someone more long in the tooth can comment on whether or not the blown call on the Triple Play generated any major controversy at the time? “We all knew it was a triple play”. What’s amazing about this play is how much ground Devo covers, and how effortless he makes it seem. There’s just no comparison between the White and Mays catch – Devo has to deal with the wall and then turns to make a strong throw to complete the double (triple) play. Mays’ play is great, but just not on the same level. What a great team, stacked to the hilt. Devo was a vacuum in the field, he was a great leadoff hitter and he had some pop for a guy that weighed 170. That blown call on the triple play was brutal. Winning that game and the World Series lessened the sting of the blown call so the controversy died down, but it’s still talked about. The entire sequence was one of the most exciting and greatest defensive team plays in the history of the game. Most triple plays are a rocket to an infielder who steps on a bag and throws to another bag before the third runner can dive back in… this play was, and still is one of the most breathtaking moments in sports history. It should be in the annuls of every MLB hi-light video. For those wondering, the Blue Jays were discriminated against the entire series. From the parading of the canadian flag upside down, the singing of the national anthem and the play-calling, it seemed (to canadian) that all of america including media and such, was against us. Personified with Grubers own “tomahawk chop” the jays overcame adversity in many forms, this “missed call” is something this umpire has to live with in the closet because it was nothing short of callous robbery.